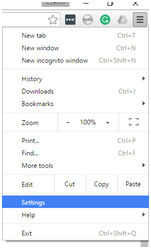 Bring up your Google Chrome browser and click on the menu resembling three horizontal lines. Click Settings once the drop down menu pops out. 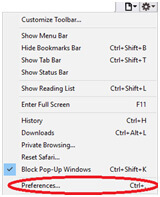 Scroll down the Settings page and click on Show Advanced Setting. 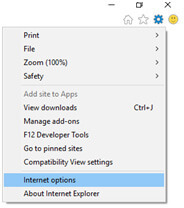 Open the browser, click the gear icon on the upper right corner and click Internet Options. Go to the Security tab and click Custom level on the bottom. 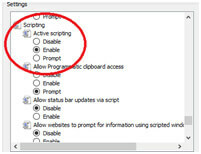 Scroll down until you find the Scripting option and enable the Active Scripting below that to enabled. Confirm the change and close the Settings window. 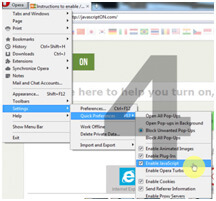 Open the Firefox browser and type about:config on the address bar. Click I’ll be careful, I promise. Open the browser, click on the gear icon and select Preferences. The purpose of the script was to have a programming language that was not only dynamic but was also friendly to developers. This contributed to its skyrocketing popularity among third-party entities and it has maintained that position ever since. Flash player is a freeware software that is used to stream and view videos and multimedia. It can run from a web browser and on mobile devices provided that such device is supported. It supports many data formats such as AMF, SWF, XML, and JSON. Flash player as a graphics and multimedia platform, supports FLV, mp3, JPEG, and GIF. Flash player applications and games can be built by Flex and Pure ActionScript applications. Click here to enable adobe flash player. A web cookie is a small data sent from a website and then stored in the user’s web browser. It is designed to remember information such as browsing activity. A good example of a cookie is Authentication cookie. An authentication cookie is one which is used by servers to know whether the user is logged in or not. Tracking cookies are distributed, read and shared across two or more unrelated websites for them to gather information and present customized data to the user. Web cookies simply store information to improve web experience. 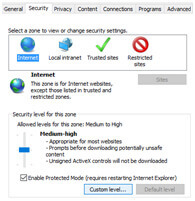 Visit this website if you want to enable or disable your cookies. Do you know someone who seems to be the Master of the VLC Keyboard Control? That person must appear pretty amazing to you, right? He’s probably the savior of all your movie marathons, ensuring that your viewing goes on uninterrupted. Not to mention the almost divine capacity to memorize all those functions. Or maybe you’d like to become that Master. Well, this is your key towards achieving such a status: VLC Keyboard Shortcuts. This site will basically tell you all that you need to know, and perhaps even more. Once you get into it, you’re all set to be named Master.